It’s Speedy Tuesday! Sometimes, it’s refreshing to see other people’s opinions on a watch. On a Speedmaster for example. Today, we give the stage to ?ukasz Doskocz, Editor in chief chronos24.pl. We did a Speedy Co-Axial 9300 Review here before (click here), which was actually the best read article on FW in 2012. The legendary Moonwatch in a brand new – stylistically and mechanically – version. Now with manufactured automatic movement, date and large(r) steel case. Each year, the watch industry produces tens if not hundreds of millions of timepieces. At the same time as many as couple of hundreds (if not thousands) new models join myriads of already existing ones. If you multiply this by the number of years that the watch business is around, the result will be huge. Among this vast offer there is however exclusive, narrow group of models that can be honestly called icons, without any exaggeration (that is unfortunately so popular in modern watch PR). One of this “iconic icons” is undoubtedly the OMEGA Speedmaster, mechanical chronograph from the manufacture in Biel – on of the most significant timepieces in the mighty watchmaking history. Before we start with our Caliber 9300 review, let’s discuss some of its history first. 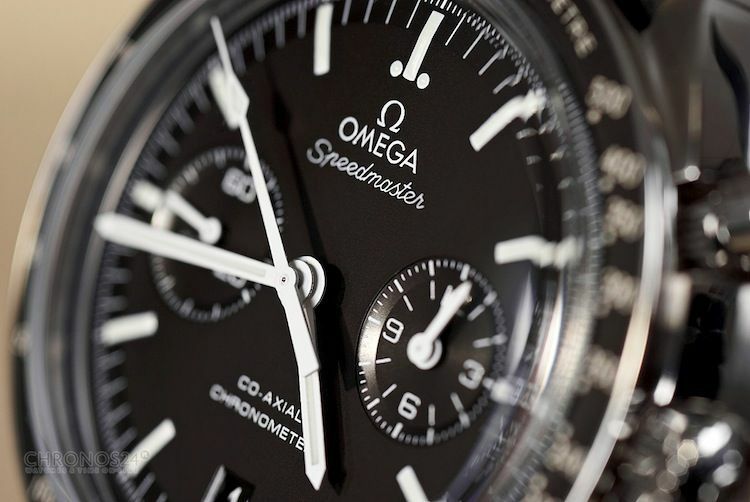 Popularly known as Moonwatch (thanks to its connection to NASA and astronauts wearing it outside their space suits), the Speedmaster is for many a role-model perfect mechanical stop-watch (chronograph to be precise). The tri-compax dial layout, classic, perfectly proportioned stainless steel case, black-and-white design, manually wound movement – all this element together contributed to the great success of the many models and versions of Speedmaster, particularly those closest to the original used during the Apollo 11 mission. It was back then, on the 21st of July, that the Apollo’s 11 lunar module landed on the Moon, making the Speedmaster the first and (as it turned out) the only watch on its surface. Following years brought a couple more OMEGAs in space, including the life-saving Speedmasters of the Apollo 13 crew, that used its mechanical chronograph to safely fly the ship entering the earth’s atmosphere. Another significant history step (well maybe, not as exalted as the Moon landing) of the watch came at the 2011 BaselWorld (in the town of Basel, in Switzerland… on Earth). OMEGAs design team, led by Jean-Claude Monachon, took on risky and difficult task – redesign the iconic “cult-status” Speedmaster. It may seem almost suicidal to try and re-do such well know, respected and loved exemplar but the new Speedmaster turned out to be somewhat of an evolution. Subtle, but significant. Over 50 years after its birth, modern Speedy is a tuned-up, perfectly refreshed version, which by accident presents exactly this 3 major changes, that I myself so much wanted to see in this particular watch (contrary to the previous ones). And, at the same time, it is vital to highlight this is a new watch, not a competitor nor successor of the good old Speedmaster Professional. 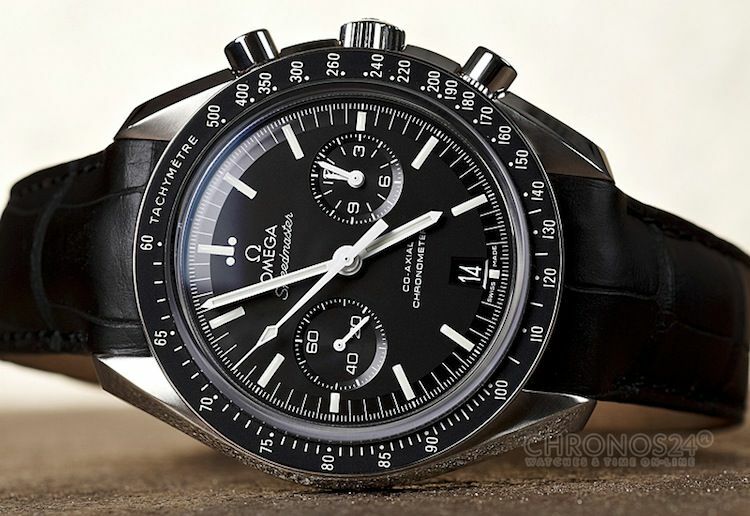 At the first glance the Speedmaster A.D.2011 is a watch highly similar to all its predecessors. Profile of the case, black bezel with tachymetre scale, convex sapphire glass protecting matte-black dial with white details (and very bright luminova) form the Speedmaster DNA as we know it. The very first thing different you notice is lack of the third counter. Replacing it, at 6 o’clock, is large and very well readable date window with black disk and applied white numerals. Chronographs hour and minute indications are now joined together on one sub-dial, at 3 o’clock. This was possible thanks to the second big new thing – the manufactured in-house calibre 9300. Equipped with a column wheel, double main-spring barrels (60h power reserve), the co-axial escapement and some high-tech silicon hairspring this is the new proud babe of OMEGA and its very first, very own chronograph movement – the milestone without a doubt. Introducing the manufactured calibre in place of second-hand movements for sure improved OMEGA status by significant much. What is even more important (and is the reason of all this mentioned above) is the fact that 9300 is good and reliable construction. Well visible under the sapphire caseback, the movement’s column wheel and vertical clutch guarantees quite smooth and pleasing use. Concentrating both the hour and minutes hands on one dial makes reading of measured time supposedly easy (although I’m not sure about this yet). Massive steel rotor winds 2 mainspring barrels for full 2,5 days of operation. The Co-Axial escapement and balance wheel (protected by cross-though bridge) with silicon hairspring guarantees stability, precision and effectively lowers the amount of needed lubrication, which in turn elongates lifetime of entire calibre. The jumping hour hand can be set in 1 hour steps (both directions) allowing for easy time adjustment while traveling, but one missing thing is quick date setting – turning the crown and hour hand round and round is not a most fun think to do. Cal.9300 own character is hidden (or rather revealed) in the decoration and finishing. 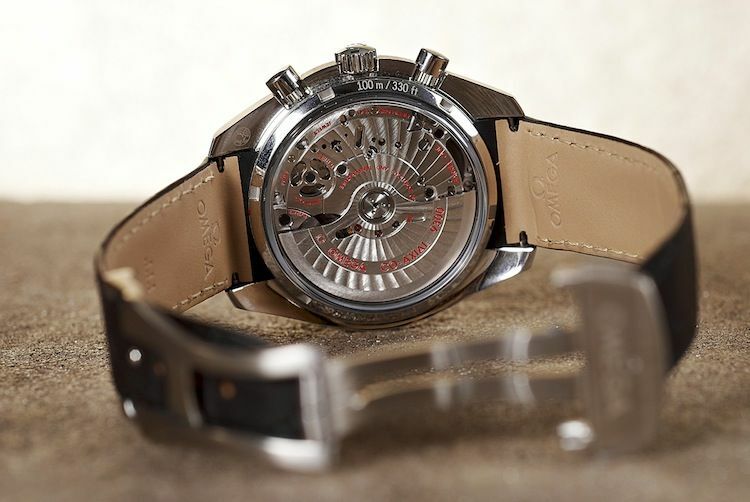 Black balance wheel, black hairspring, red engravings and cotes-de-arabesque (Geneva stripes in a form of waves) on bridges and winding rotor give the movement both recognition and character. And it looks very nice indeed too. 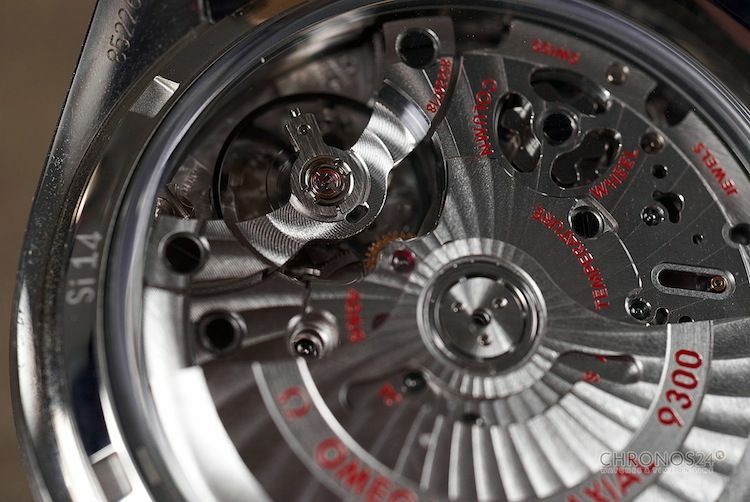 Overall the 9300 caliber by OMEGA is a great chronograph, comparable with the best of its level out there (Breitling 01. Zenith El-Primero and TAG Heuer 1887 for example). 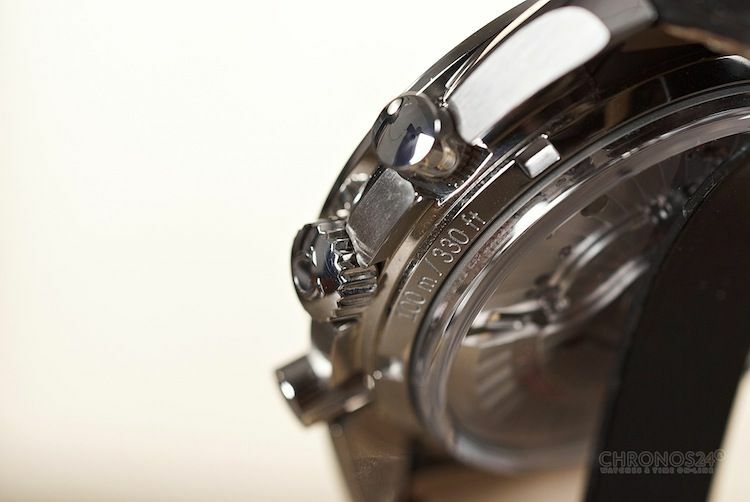 Although die-hard Speedmaster fans and collectors might not (and probably will not) accept Speedmaster with this kind of movement and changes, all its qualities might just convince them at the end. Besides the automatic movement (which for me is a major step, as I find automatic far more comfortable every-day than manual) and the date (which for me is a must in a watch) the last of the mentioned “3 big new things” is also highly expected (again – by myself) case dimensions increase. The original Speedy was not a small watch by all means – 42mm is optimum size for many, adequate for both smaller and larger wrists. For me though certain elements of the case structure plus a wide bezel made the whole thing just too small, too delicate. The Speedmaster Co-Axial Chronograph received enlarged, quite substantial and bold 44.25mm by 16mm (in height) case made out of stainless steel (optional red gold or platinum). The same old case profile with integrated lugs bent slightly towards the wrist let the watch sit very nicely and comfy on hand, despite the height of 16mm caused by profiled, convex sapphire glass on top and convex, sapphire caseback, that both looks fantastic and gives you a great look inside the movement inner workings. Matte black (maybe a bit to matte) alligator strap fits nicely into the case, and is fastened on a very well made and functioning double-safety-button fold-over clasp. For more traditional look the steel bracelet is also available. 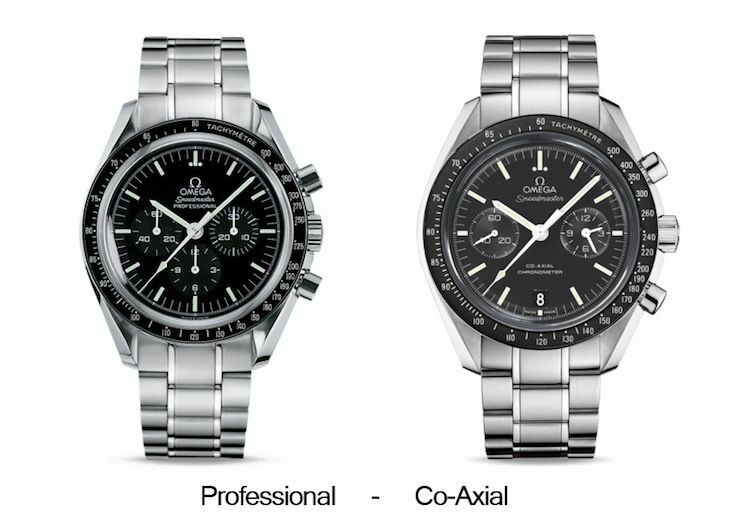 The presentation of the new Speedmaster Co-Axial Chronograph will most likely not ever change the fact, that for most collectors the true Speedmaster will always be the Professional “Moonwatch” with hand-wound Lamania calibre, hesalite glass, solid caseback with the Seamonaster engraved and a tri-compax dial. 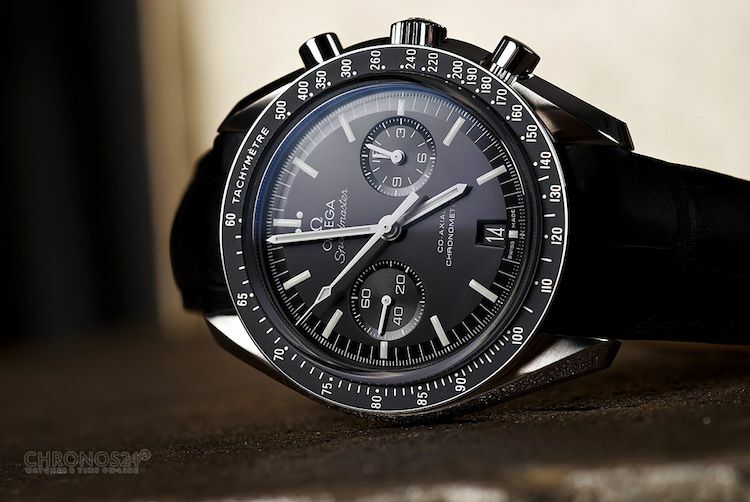 It was however not OMEGA’s intention to create a new Moonwatch to replace the older one, which will anyway be constantly produced and offered in unchanged form. The new Speedy is a new watch, completely new offer that will please people like me and then some of the Speedmaster geeks (sorry Robert-Jan) collecting everything related to the very name “Speedmaster”. I call it a more useful, more daily-war adjusted timepiece with quality improvements. Do all this changes justify over 100% increase in prize? I say yes – for the money ($8.200 USD / +/-6400 Euro) you get very well made, nicely finished timepiece with all the story (and history) behind and great, manufacture calibre. It’s up there with Breitling Chronomat B01 and Zenith El-Primero. I do love chronographs, I admire Speedmaster’s rich astronomical history, I value and appreciate automatic winding, I check the date on my watch every time – Speedmaster Co-Axial Chronograph is the Speedy I waited for and crave to own. Thank you OMEGA.